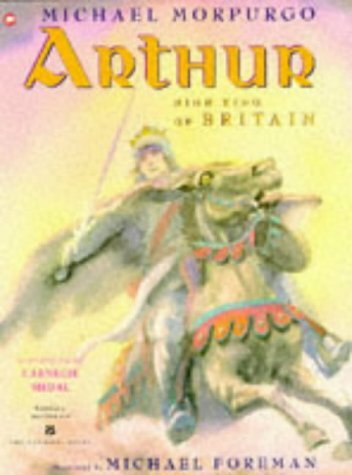 This large format retelling of the Round Table legends is illustrated with Foreman's characteristically luminous pencil with veils of wash. Told by Arthur himself, it conveys admirably the good and evil, romance and honour of the legends and blends the various components with skill. What it lacks is any note of humour or lightness which may limit its readership to tenacious youngsters only. Worth mentioning is Morpurgo's discreet handling of knightly and adult indiscretions between callow questers and fair young maidens.